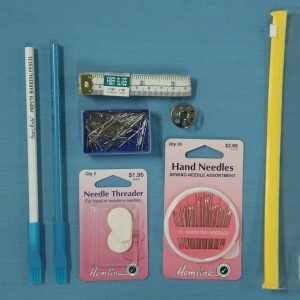 Handy repair kit for travelling, camping, etc. 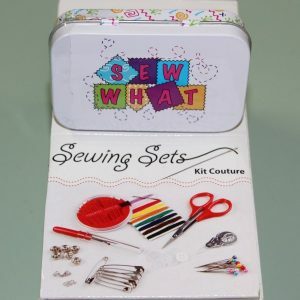 Contains safety pins, buttons, assorted thread, scissors, needles, needle threader and press snaps. Clearview snap-top box. 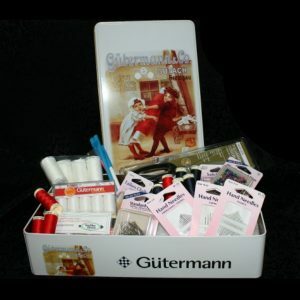 A handy addition to the sewing cupboard, or a great gift. 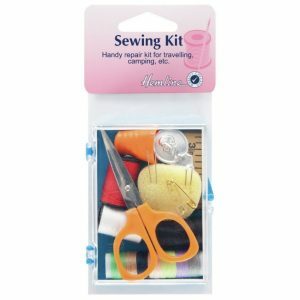 Attractive Sewing Kit Tin – “SewWhat” Handy Purse size Travel Kit includes scissors, needle compact, thread, pins, quick unpick, assorted fasteners & needle threader. 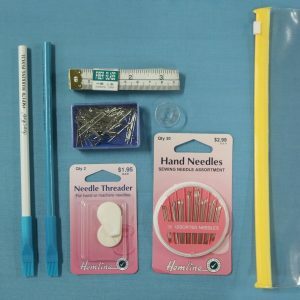 This range of accessories & tools are essential items for either machine sewing or hand sewing which help to make achieving great results fast every time!